If your lawn isn’t thriving, consider these alternatives for a beatiful, easy maintenance landscape. We love our lawns here in Texas! Not only are they aesthetically pleasing surrounding our homes, they also offer a soft place to play, reduce soil erosion, and cool our homes. Did you know that areas covered in grass or groundcover can be up to 10 degrees cooler than bare soil, asphalt or hardscape? But sometimes, turfgrass simply isn’t the right plant for the right place. Too much shade, dense tree roots, lack of adequate irrigation, too much foot traffic, dog destruction…each of these conditions reasons why you lawn may never look its best. If you’re fighting one of these battles, you may want to consider a lawn alternative. Do you have a large shade tree that casts shade onto your lawn? Your first reaction is probably to call the tree care company to “thin it out” so that more sun reaches your lawn. Unfortunately, this is rarely a viable solution. Shade trees and lawns just don’t co-exist happily; you may end up doing more damage to the tree than you help your lawn. While a qualified tree care company can sometimes perform canopy restructuring in order to create a better pattern of light, it’s not always possible depending on the size and placement of the tree. As shade trees grow, you’ll need to consider removing lawn and shifting over to more shade tolerant plantings. No matter what plants are added, healthy soil is still a necessity for plants, not just grass, to thrive. 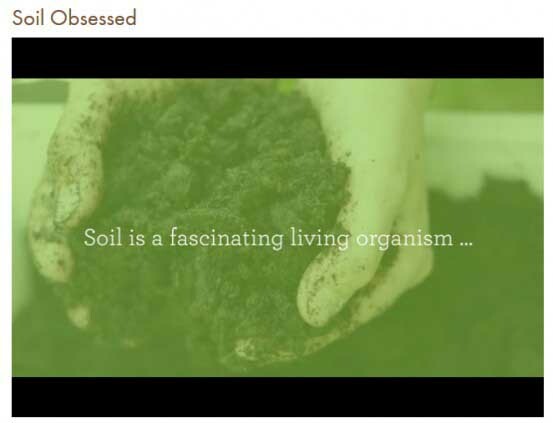 Watch this short video on why we’re soil-obsessed. If your shaded lawn has thinned out, then converting the space over to low-maintenance is a great solution. While you’ll still need to feed both the groundcover and the soil to keep them both healthy, your overall maintenance will be much easier on groundcovers. Shade varieties: Persian ivy, Asian jasmine, moneywort, ajuga, lamium, vinca, creeping plumbago and mondo grass. Is there a large, bare patch in your lawn that might be perfect for a patio? There’s no rule that says you can’t take that bare shady spot and convert it to a cozy entertaining space. A small patio created with natural stone and crushed granite is easy to DIY if you don’t want to hire someone. Build a space that fits just a few chairs and add a firepit for a small space to relax and enjoy with family and friends. We know, we know. Fake grass??? Yes. Sometimes, faux turf can be your best solution. Nowadays, faux turf options are soft and realistic looking; they drain well and handles lots of foot traffic. You could use faux turf to build a small putting green, place it where pets love to run and “go”, or use it underneath you kids play area instead of plastic mulch. You’ll still have the look of real grass and even guests will need to look closely to see if it’s real. Of course, anywhere grass won’t grow is a good place to add more landscaped garden beds. Established shrubs and perennials use less water than grass and can be easier to maintain. Plus, there are plenty to choose from that will tolerate more shady conditions where the lawn won’t grow. Overall a good balance of lawn, hardscape and garden beds helps create a beautiful and balanced landscape. And regardless of whether you have a lawn, lots of shrubs or mostly trees, building healthy soil is just as important to your plants’ success.